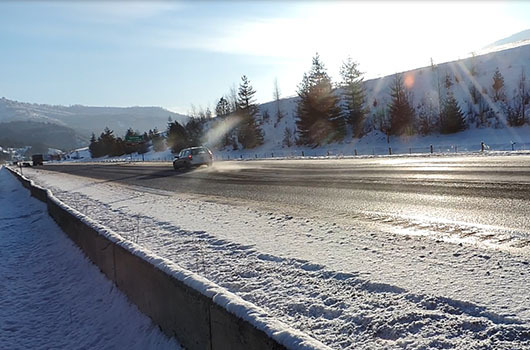 District 1 covers just more than 7,750 square miles of northern Idaho and maintains 1472 lane miles (lanes of road, on- and off-ramps, etc.) and 279 bridges. 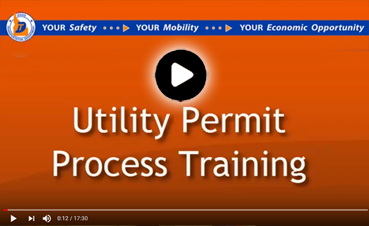 Included in the five-county District 1 region is some of the most beautiful country in the Pacific Northwest, as the area is known for its recreational opportunities and for being a major commercial route to both entry ports into Canada. 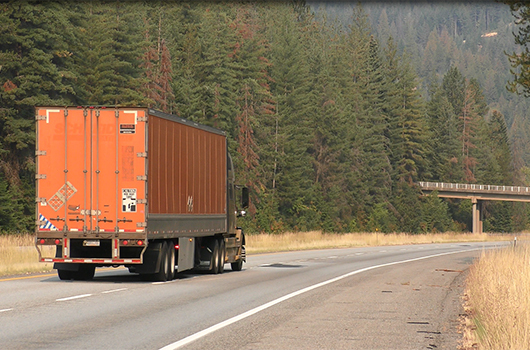 District 1 currently oversees more than 3.5 million vehicle miles traveled daily. 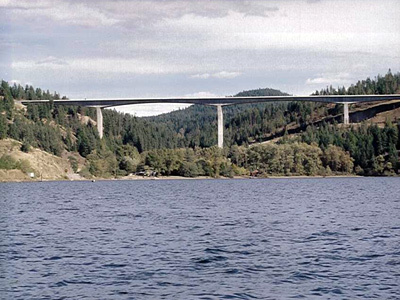 District headquarters is in Coeur d’Alene located in Kootenai County, with Damon L. Allen as district engineer. Jim Thompson, of Sandpoint, represents District 1 on the Idaho Transportation Board. A logging operation will clear trees that have the potential to fall onto the road. One eastbound lane will be closed for the next two weekends. Impacts will vary by location. Check 511 for the latest traffic impacts. Repairs are scheduled this Friday, with drilling operations scheduled for next week. Work is a continuation of crossover construction from last year. Two lanes of traffic will run on the newest portion of the bridge. Major roadway impacts won't start until April. Drivers should lower their speeds near a dip in the road. The bridge was demolished and rebuilt in two phases — the first phase began in mid-March, and the second-phase began in mid-June. Concrete Placing Company replaced the bridge to meet current standards, including height requirements, for $7.6 million. The new bridge includes two lanes with wide shoulders. Read more about this bridge project in the Replacement of Kingston Bridge news story – February 20, 2018. 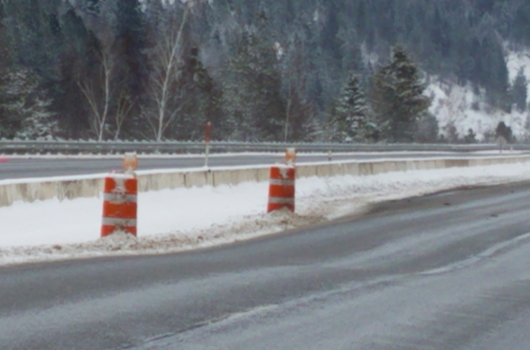 ITD contractors replaced signs at various interchanges with I-90 between Washington and Montana. This was the final year of the project. Interstate Concrete and Asphalt completed the multi-year reconstruction of the interstate between Northwest Boulevard and Sherman Avenue. In 2017, I-90 was reconstructed between Sherman Avenue and Ninth Street, and in 2018 the interstate was constructed between Sherman Avenue and Northwest Boulevard, and repaired the Centennial Bridge. Improvements cost $23.5 million. ITD contractors replaced the box culvert over Round Prairie Creek near Eastport. Woods Crushing and Hauling resurfaced four miles of highway and replace guardrail for $1.3 million. 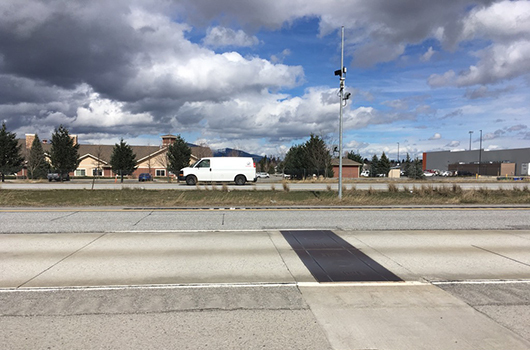 Interstate Concrete and Asphalt Company constructed turn bays and installed lighting at the intersection of Elmira Road and US-95 for $605,000. ITD contractors resurfaced two miles of the highway near Sagle. ITD contractors resurfaced five miles of the highway. 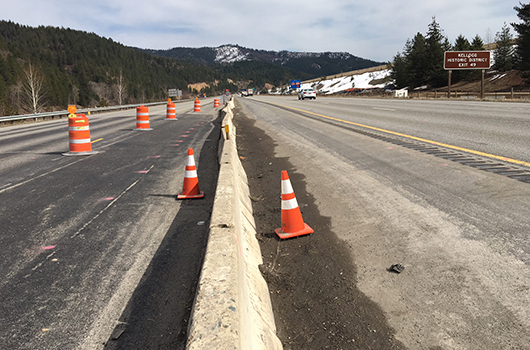 ITD contractors repaved ten miles of the highway and replace guardrail. ITD contractors replaced the bridge over Moctileme Creek. The bridges were located within another project to realign the Windfall Pass Road intersection. 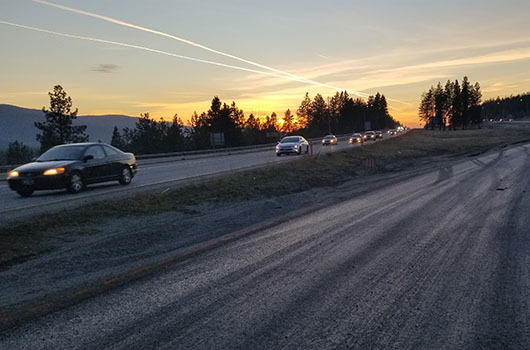 ITD contractors realigned the intersection of Windfall Pass Road with the highway to improve safety; the curve was straightened out to prevent future crashes at this high-accident location. ITD contractors replaced the box culvert over Cedar Creek near Clarkia. ITD contractors repaired the roadway near milepost 6 after a landslide caused damage in March 2017. The project included significant excavation for the placement of a shear key to stabilize the slope. To learn more about the process to reduce impacts to resources near the landslide, read this Idaho 5 story. Knife River Corporation constructed turn bays and installed illumination at the intersection of ID-53 and Hollister Hills Road in Hauser for $394,000. Improvements were designed to enhance visibility and decrease crashes. 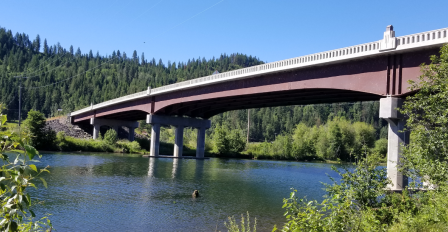 Wesslen Construction repaired supporting structures and improved transitions from the road to the Coeur d’Alene River Bridge near Harrison for $880,000. COMPLETE: To preserve pavement, ITD contractors applied sealcoats to several routes. 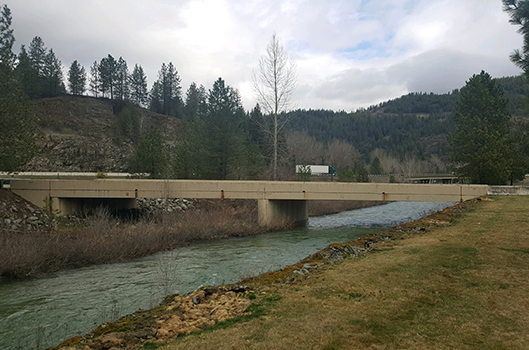 Intermountain Slurry Seal applied sealcoats in Bonner, Boundary and Kootenai counties for $3.2 million. COMPLETE: The Union Pacific Railroad installed $1.8 million in safety improvements, including gates and warning signs, at the following locations: the intersection of Spokane Street and the Upper Railroad Crossing in Post Falls, the crossing near Poleline Road in Post Falls and the crossing near Watkins Avenue in Athol. 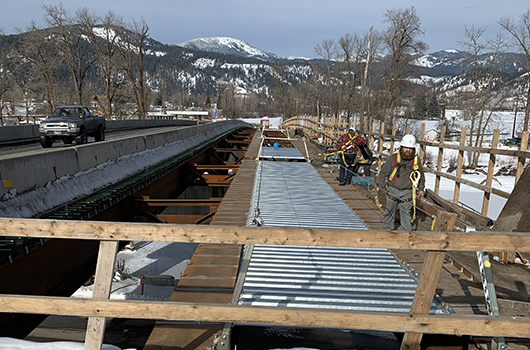 To see a comprehensive list go to the Kootenai County construction projects map prepared by the Kootenai Metropolitan Planning Organization. For more information on these and other projects, contact the appropriate city departments. COMPLETE: Government Way: Contractors reconstructed Government Way from Hanley Way to Prairie Avenue to include two travel lanes in each direction, a center turn lane, two buffered bike lanes and sidewalks. COMPLETE: Seltice Way Revitalization: Work reconstructed the road with the final layer of asphalt between Riverstone Drive and Huetter Road. Landscaping, signing, additional lighting and striping were installed, and the shared-use path paved. COMPLETE: Seltice Way Sidewalks: Contractors added a pedestrian path on the east side of Seltice Way between Riverstone Drive and Northwest Boulevard. COMPLETE: Honeysuckle Avenue and US-95: National Native American Construction Inc. reconstructed the sidewalk and build a new bus stop. 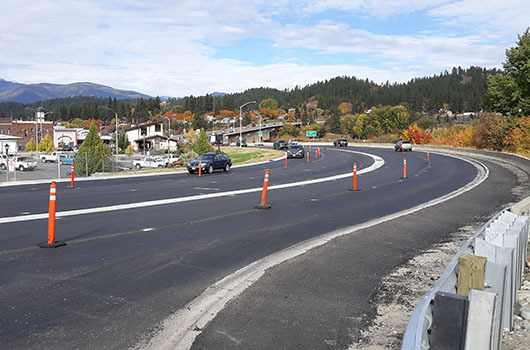 COMPLETE: Seltice Way Congestion: Contractors installed new signals and constructed additional lanes at Compton Street and Seltice Way, Seltice Way and Henry Street, and Spokane Street and Mullan Avenue to reduce congestion.